Buffalo Range is a brand of rawhide chews which uses all natural water buffalo rawhide and meat. No artificial anything, highly digestible, locally sourced in Cambodia, and even made in a food safety certified facility. 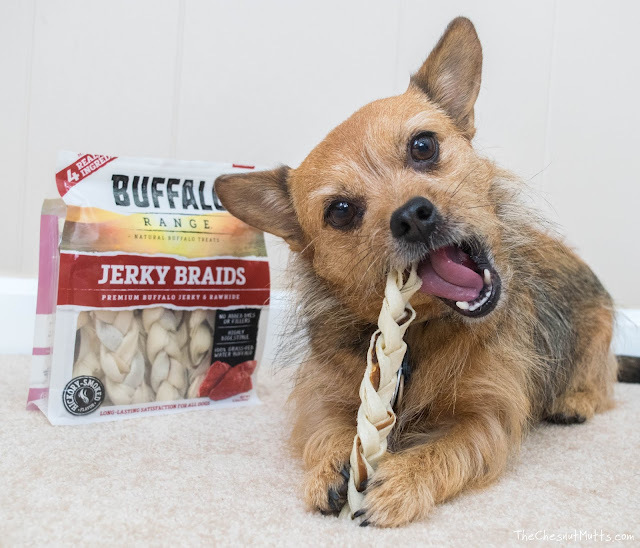 We sampled three types of their chews: Jerky Bones, Jerky Braids, and Jerky Twists. Once I opened the bags, the hickory-smoked flavor was really nice and strong. In each of their jerky varieties, there is a creative combination of buffalo jerky which Jada likes to pull out and munch first. 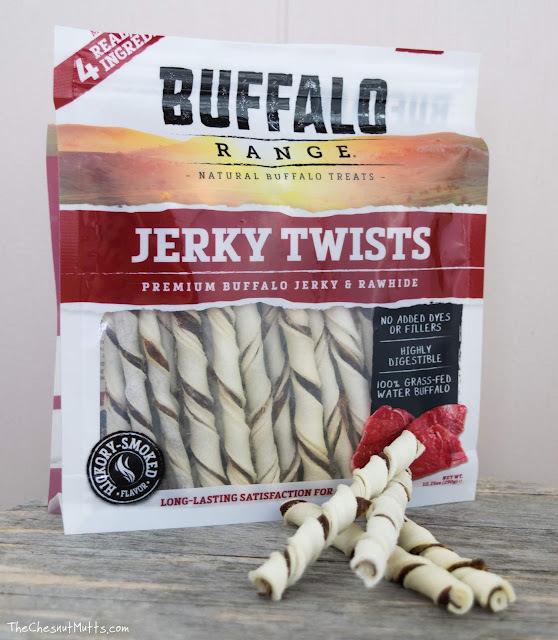 These Buffalo Jerky Twists are a thin chew that is a perfect snack for chewers and non-chewers alike. We have four dogs in our household that all have different approaches when it comes to treats. I'm very cautious about what I give my dogs and a huge part of that is knowing their eating style. With any treat or chew, supervision is important. So just by looking at the size of this chew, I would give this to small or medium dogs. Every dog is different, our large dog Fezzik had no trouble with the Jerky Twists but they were gone very quickly. 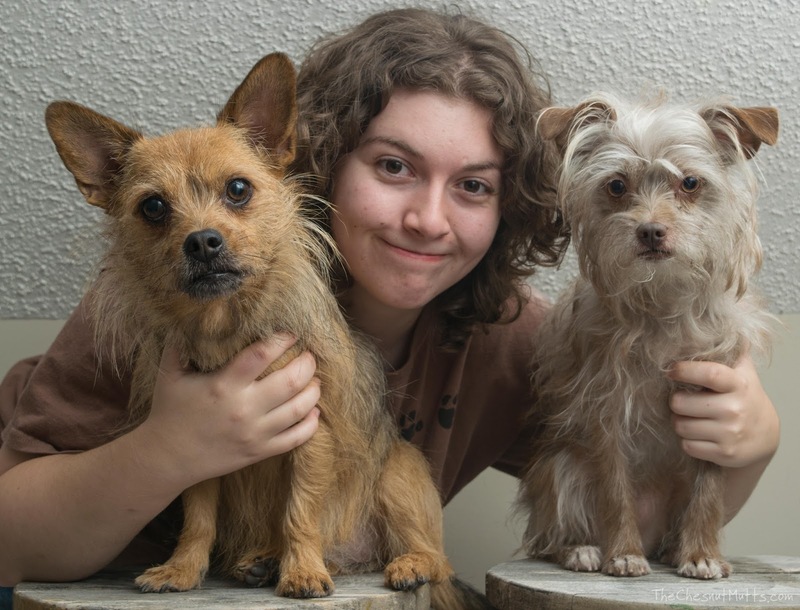 Bailey and Dottie, two small dogs, took their time and these lasted quite a while. Jada, on the other hand, is a big chewer and can demolish these in 10 minutes. I really enjoy the ease of handing out these twists to the dogs. This bag contains 36 chews and all of our dogs enjoy having a small snack to chew on. 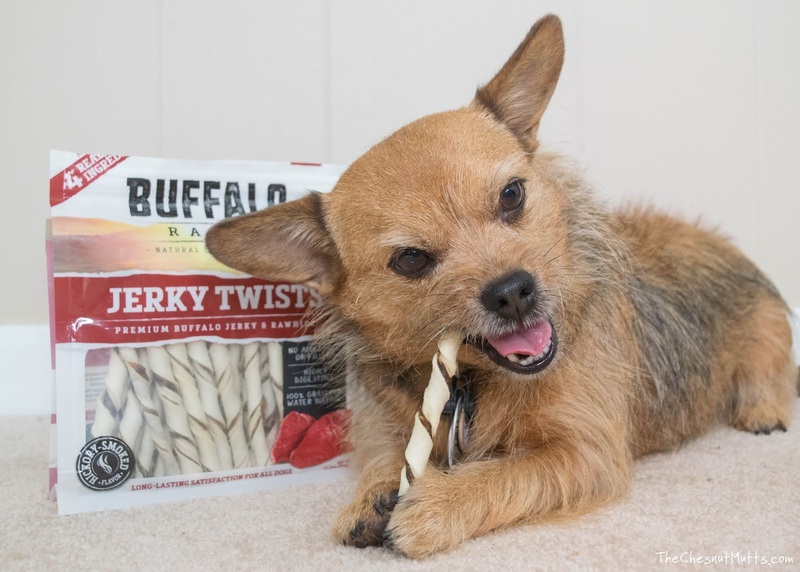 Light or hard chewer, Buffalo Range Jerky Twists worked very well in our household. 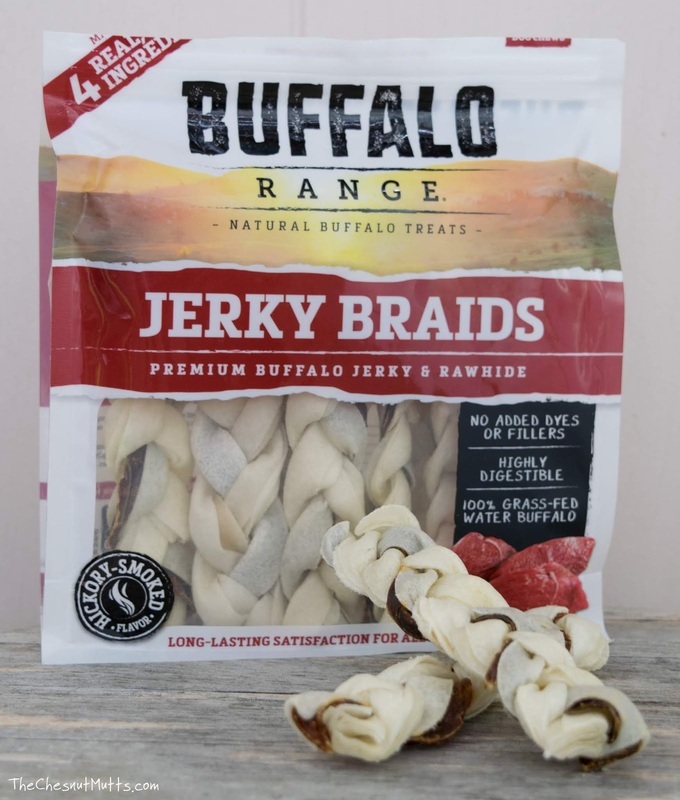 Next, we look at the Buffalo Range Jerky Braids - my favorite! These work really well for medium or large dogs, or those who are determined chewers. Because these are braided, they are longer-lasting and thus more enjoyable for your dog. Jada and Fezzik really like the Jerky Braids. Even though they are a bit big for Jada, I knew she could handle it because of her chewing style. I would recommend Jerky Braids to medium and large dogs and especially those who are the biggest of chewers. 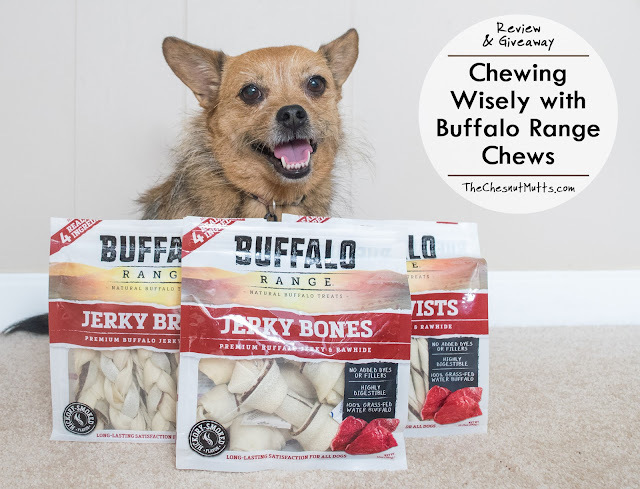 Our last chew is the Buffalo Range Jerky Bones. These are mainly targeted at large dogs, but you really need to know your dog for this shape of chew. The knots on the end of the bone can be a big choking risk. Once they come off, I would take them away and let your dog continue chewing with the middle part. Usually, a dog will try to swallow a knot. If it doesn't go all the way down, then they yak it back up and try again. The shape just doesn't work well for a lot of dogs. 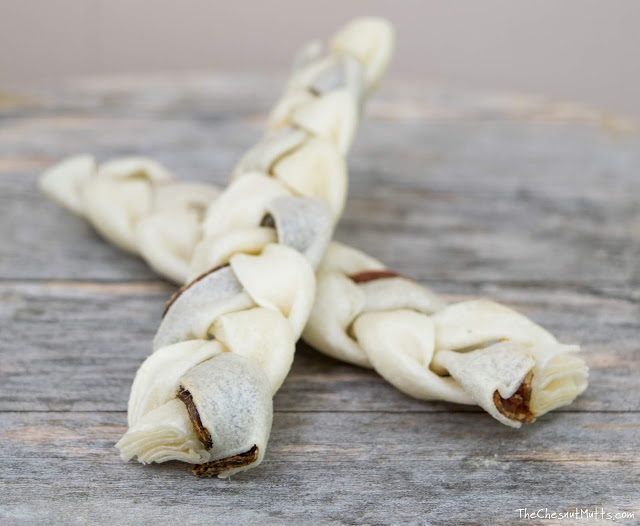 I would actually give these to a very small dog who isn't an aggressive chewer like Bailey where I know that the knot was a lot bigger than her throat. 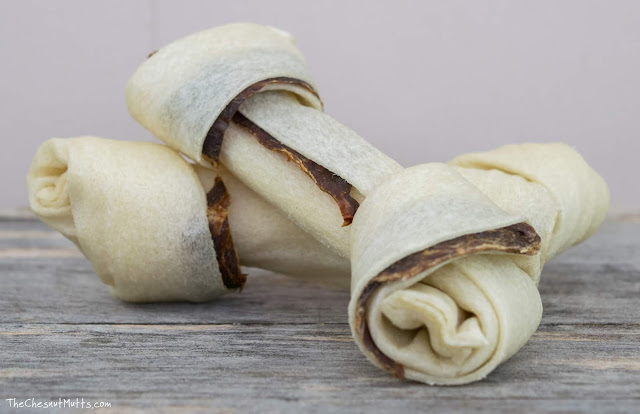 Have you ever given your dog a rawhide chew and there were smaller bits of rawhide wrapped inside? These little surprises are called rawhide fragments and can pose a choking risk or blockage on their own. Thankfully, Buffalo Range chews do not contain them. That makes me very happy because I'm not one for surprises when it comes to what my dogs put in their mouth. 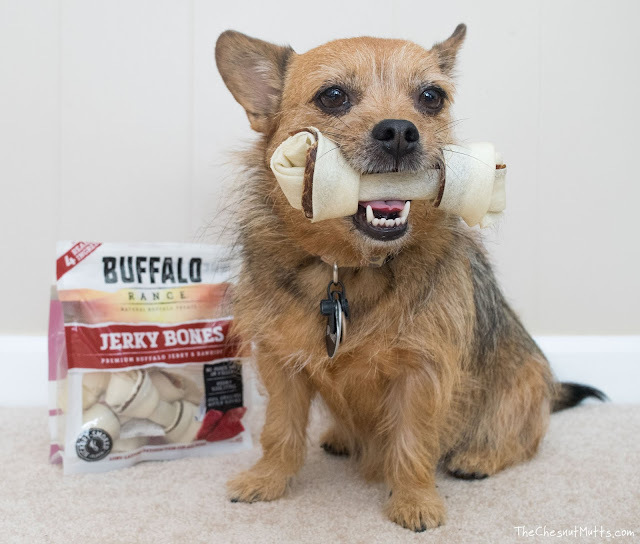 So we went over three different Buffalo Range Rawhide Chews with the pros and cons of each. Again, every dog is different so chews wisely. I did want to do a little digging about how Buffalo Range chews are specifically made so I asked them if they could provide me some information to share with y'all. "We first want you to know that we researched the rawhide production process at great length prior to developing the Buffalo Range product. We work with a locally-sourced partner in Cambodia. 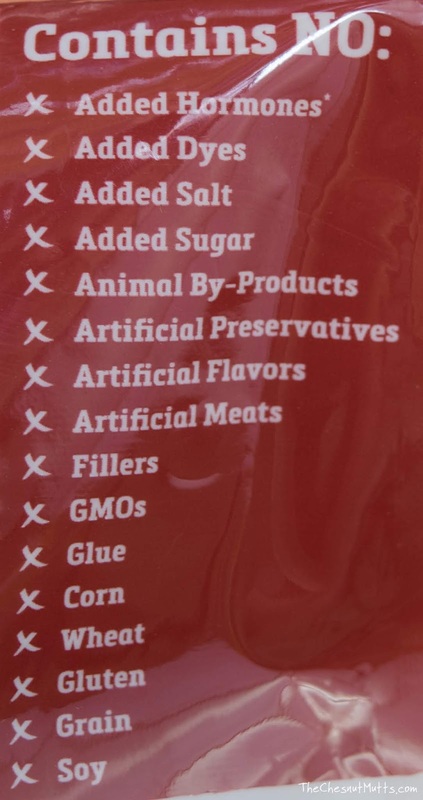 Because our Buffalo rawhide and real Buffalo meat are locally sourced, there is no need for chemical preservation of the raw materials prior to making our chews. 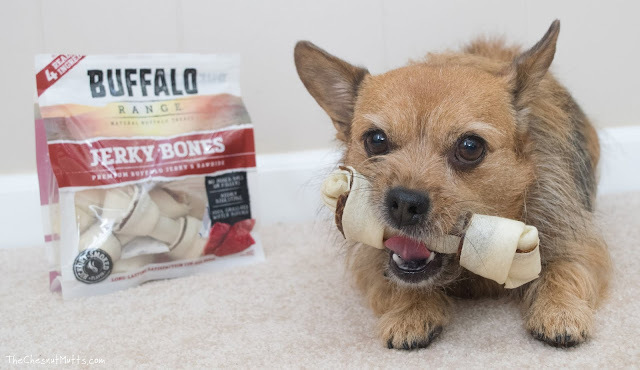 Second, at Buffalo Range, we use the safest method available for preparing our rawhide material for use in our treats, which are made in a food safety certified facility. We verify the safety of our product with ongoing testing to ensure no heavy metals or other harmful agents are present. This ensures our customers do not have to worry about any chemical ingredients. Also, rawhide chews do not go through any tanning / leather-making process, which means they are not leather – in fact, they are mostly protein. A mild hydrogen peroxide solution is used for cleaning and whitening the Buffalo rawhide, which does not remain on the rawhide when it is time to make the chews. We do not use bleach, chemical colors or titanium oxides to whiten the rawhide. In fact, we do not add colors of any kind to our chews. We let the real color of the buffalo meat speak for itself. 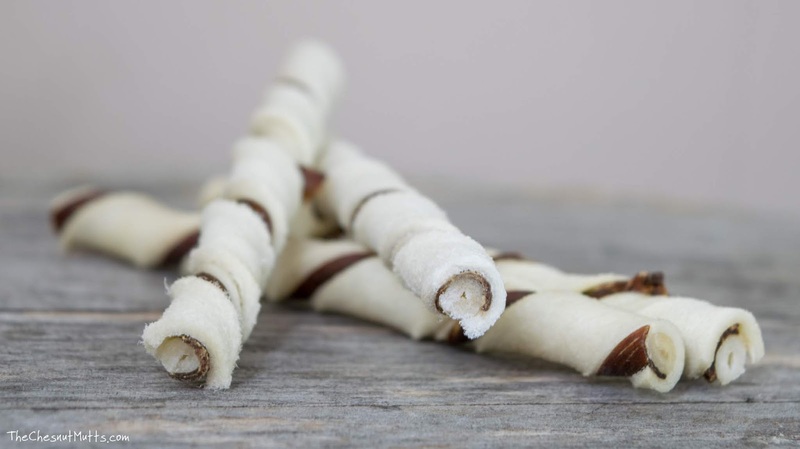 Once the rawhide has dried, it stays together naturally without any glue or other substances used to hold it together. 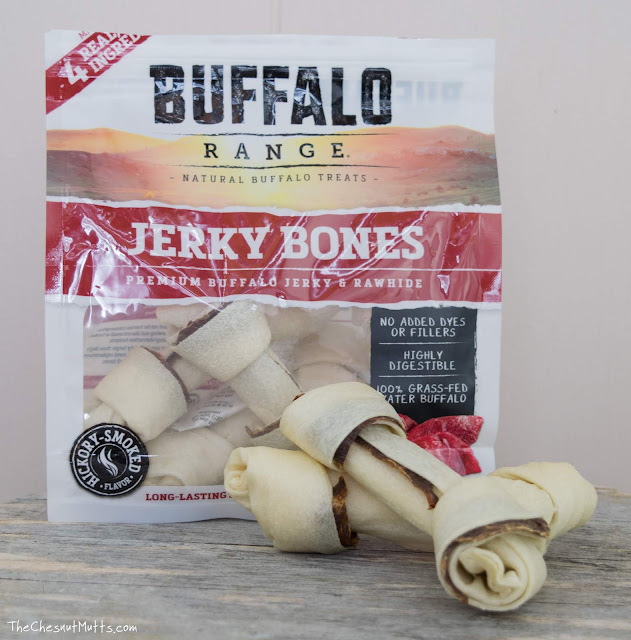 At Buffalo Range, we also don’t use rawhide bits or fragments – only full strips of rawhide and whole cuts of real meat. Our product is then packaged and shipped to the U.S."
After doing a lot of research and reading articles (this is a great one from Whole Dog Journal), I'm pretty pleased with the reply from Buffalo Range. Besides knowing how your dog chews, when picking out rawhide chews you have to look at many things like origin, color, thickness, and smell. Buffalo Range Chews come from local water buffalo in Cambodia. The chews aren't bleached white. They are off-white, so there is some cleaning that is done, but you can tell that it was mild enough to keep some color. You can tell from the pictures that the rawhide is thick which means it is better quality. Thin hide can indicate it came from poorly nourished animals. The smell is wonderful and isn't bad. Rawhide chews with no smell can mean that it was bleached or other chemicals were used. You can find them on Amazon or on their website. 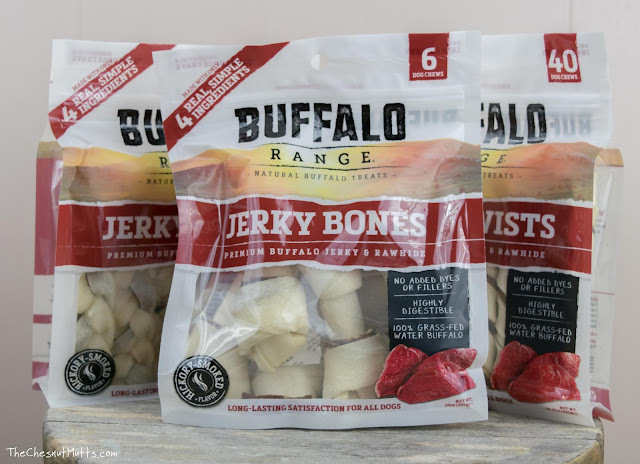 Learn more about Buffalo Range! 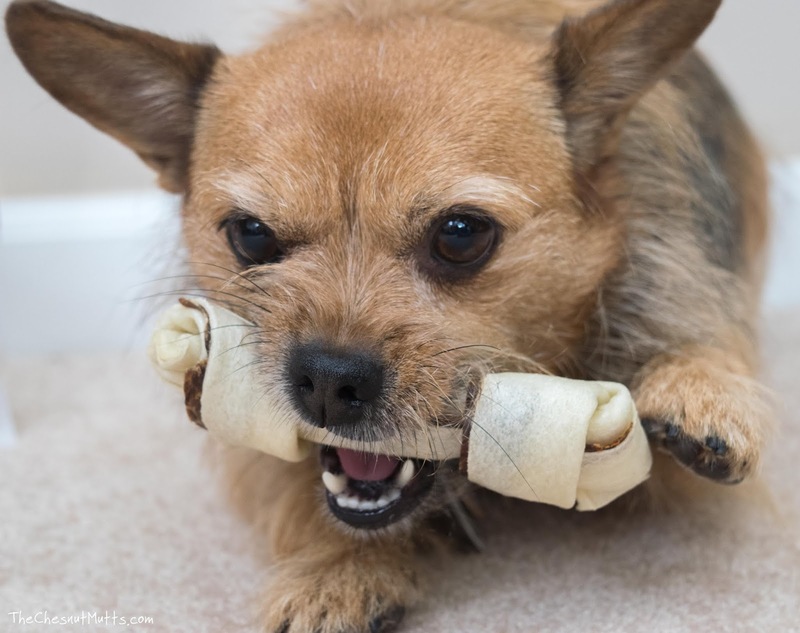 What's your dog's chewing style? i have 2 gals, the oldest is a fast eater, will eat anything, the younger gal is very, very slow, very picky and someday will eat her food and the next not like it. she has always been like this though. Our rottie mix likes to take her time and leisurely chew a cow hoof or pig ear. My dogs love to chew.My older dog takes his time. The younger chews fast. My dog loves to chew a bit, hide the treat, and retrieve it later on. I find them stuffed in strange places. I think the braided would be the best for her. She's a small dog. My Boston Terrier chews very quickly. He has such little teeth but boy can they do some damage! my dog is a big chewer! My Boston Terrier is a slow chewer, his bully sticks last weeks. I would love to donate to Boston Terrier rescue to keep the puppers busy. My dog Myla likes treats that take her some time to finish but she likes all types of treats too. He likes to chew at it for a while. Gotta get his full enjoyment I guess. Love these chews!! And they last a while. Even the cats steal them for their chewing pleasure also!!! Our dog likes Denta stix. Our 6 dogs are small but they chew like mastiffs! Power chewers!! I have 3 heavy duty chewers. They are Boston's who think they are big dogs. I have three rescued Treeing Walker Coonhounds who are very rough chewers - especially Seiji and Megumi. Most products last them just a couple of minutes and then they are looking for more. I'd love them to try these. My friends shelter would love this. Both of my dogs are heavy chewers. These would be nice for them to try. She is a mild chewer. If my dog is in the mood to chew something she will really fast, if not she will save it and a few days later she will come back to it and chew it. Casey takes his dog chews onto his blanket and there he stays - until the chew is no more! He loves them and it keeps him busy. Thanks for offering such a quality product, they are difficult to find. Thanks, also, for the super giveaway opportunity! My dogs are heavy chewers. They keep going until it's gone. I have three dogs. One is a very aggressive chewer and is very greedy. My other boy likes to take his time and savor every bite. My girl is typically slow but if it is something she really like she chews fast but with her she is picky and we can't always find something she likes. My dog loves to chew and is very quick about it! My dog loves chewing. He loves taking his time haha. My dog likes to take her time chewing any treats. I have 2 very different dogs that approach their chewing very differently. Our great dane, well, blink, and whatever she is chewing you'll miss. My shih tzu is much slower and takes his time to enjoy. My two dogs enjoy chewing. They typically finish a chew in one sitting. James is a super aggressive chewer and i think he could chew through anything. One tries to eat without chewing and the other takes her time. Our dogs love to chew! Thank goodness we are well beyond that puppy stage where they loved to chew my kitchen chairs, walls, carpet...haha...just about anything. Now...they love chew treats! I love that these are highly digestible! My dogs (Ella, Ruby, Diamond and Teddy) are busy chewers and love their chews. My German Shepherd likes to wait until everyone else is done before eating chews. I think she likes the others to see she still has one. LOL! Holly-my Red Heeler chews things up pretty quick, but Lacy my Catahoula-takes her time. Our malamute loves the big rawhide chews. So I have four dogs. The two brothers George and Roscoe are fast chewers both chihuahuas. Smokey is a slow chewer and the others will take it away if you dont watch. He is a long haired chiahuahua. Gizmo is a Australian Shepherd pit mix and around 7 months old chewing on everything he can get a hold of. Hes definitely trying my patience lately lol. our dog chews slow, unless he thinks one of us is going to take it only then will he chew fast. My 2 dogs love to chew quickly and are heavy duty chewers. My bulldogs are persistent chewers. My youngest bully nibbles and pulls. Sad I missed this giveaway! I'd love to try these for my boy!